6 Tips That Can Help You Pay Off Credit Card Debt (Pt. 1) - Castle Rock Bankruptcy Attorney - Jon B. Clarke, P.C. While the total amount of credit debt carried by Americans is reportedly more than $793 billion, the average household in the U.S. carries more than $15,000 in credit card debt (according to statistics compiled by the Federal Reserve and TransUnion). In fact, credit card debt is among of the primary reasons that people end up filing for bankruptcy, as this type of debt can quickly snowball out of control – especially when people are carrying a substantial amount of credit card debt on cards that have high interest rates. Developing a budget and paying the most on cards with the highest interest rates are tips that can be helpful for paying off credit card debt. The good news is, however, that there are some things that borrowers can do to make it easier for themselves to pay down (and, eventually, pay off) credit card debt. Below and in a few upcoming installments of this blog, we will showcase some tips that borrowers can use to help them pay off their significant credit card debt. 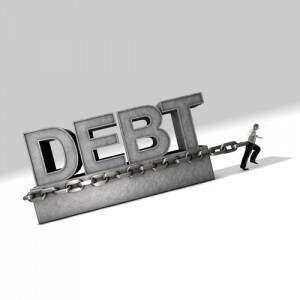 While the info in this three-part blog is general, borrowers can get more specific information about their best options for debt relief by meeting with Colorado Bankruptcy Lawyer Jon B. Clarke. Tip 1: Develop a budget. A number of factors can force people to rely on their credit cards to cover their living costs (for instance, divorce or long-term unemployment can contribute to a substantial spike in people’s use of and reliance on their credit cards). However, in other cases, people simply overuse their credit cards, make too many frivolous purchases and, at some point, find themselves buried in massive credit debt. Allocating as much of the remaining money you have left as possible to paying down your persisting credit card debt. Sticking to a budget and focusing on using a good portion of your disposable income on paying down credit card debt (rather than on frivolous or unnecessary expenditures) can help you slowly chip away at this debt. Tip 2: Figure out which credit card debt has the highest interest rate. For borrowers who have outstanding debt on multiple credit cards, the best course of action when it comes to paying down (and off) this debt is to focus on paying the most money towards the credit card associated with the highest interest rate first. The fact is that the card with the highest interest rate will likely end up costing you the most money the longer that you are carrying debt on this card (and the cost will be even higher if this card is maxed out or if you have a large amount of debt on this line of credit). Once you have been able to pay off the credit card with the highest interest rate, move on to focusing on paying off the card with the next highest interest rate (and so on). This strategy can help you save a significant amount of money on interest while you focus on paying off your credit card debt (which can, in turn, help boost your credit score and your overall financial standing). Don’t miss the second and third parts of this blog for some more important tips for paying off credit card debt.